Why do certain diets work for some, but not for others? Have you ever wondered why a certain diet works so well for some, but not for others? Most people tend to contribute their failed weight loss attempts to bad methodologies, when in reality, it may just be biology. Most of us are familiar with that one person who can get away with eating practically anything and somehow still manage to maintain their weight. For others, a piece of chocolate results in a 5lb gain. So what is this? Simply put, metabolism is why..
Research published in Diabetes, 2015, does a great job of displaying these metabolic differences in their paper on phenotypical variance and weight loss. The authors of this paper concluded there are two distinct metabolic types which are classified as “phenotypes”, or expressed genes. 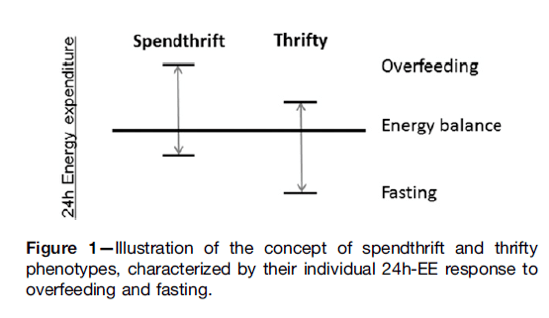 “Thrifty” and “Spendthrift” are the two phenotypes the authors highlighted. When reducing calories, or dieting, the thrifty phenotypes are more economical and evolutionarily adapted, and respond by reducing resting energy expenditure in an attempt to combat the reduction of calories the body is taking in. 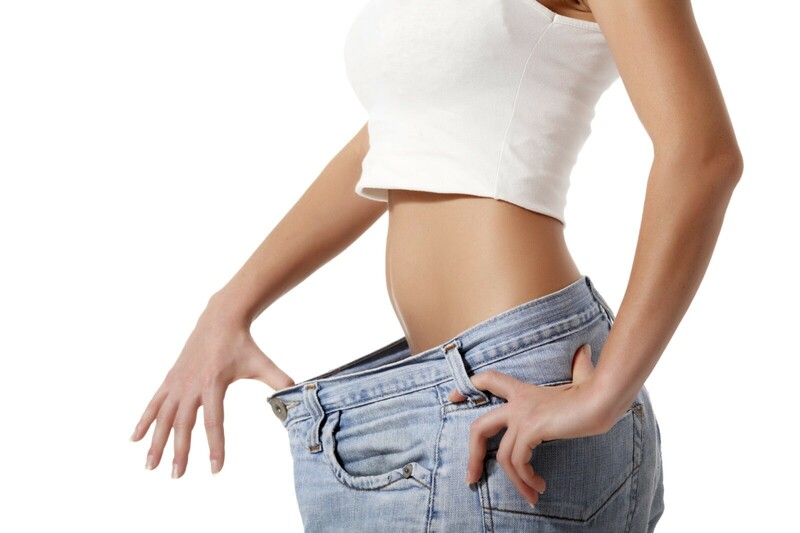 Now, this is something the caveman might have appreciated some years ago when food was scarce, but in todays day in age, we are fixated on being slim and the last thing we want to hear is that our reduction in calories is also resulting in a reduction in metabolism, or energy expenditure. This reduction in energy expenditure makes cutting weight difficult, as it must be made up through alternative methods, such as exercise. Now on the flip side of things, when overfeeding, the thrifty phenotypes see a very small increase in metabolism often leading to the storage of excess calories consumed. This again is displaying the evolutionary adaptations of this phenotype. For the spendthrift phenotype, the story is much different. 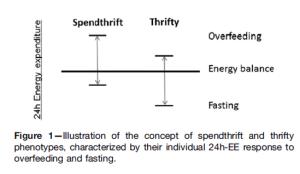 When reducing calories, or dieting, the spendthrift phenotypes are much less economical and respond with minimal reductions in energy expenditure. This minimal reduction in energy expenditure partly explains why some people can cut calories and lose massive amounts of weight. When overfeeding, the spendthrift types typically see massive increases in energy expenditure, making it very difficult to store the excess calories consumed. In todays day and age, this is the ideal situation people want to see. When we reduce calories we want to see minimal reductions in energy expenditure. When we increase calories, we want to see an increase in energy expenditure. This is the perfect combo which results in the lean, pizza eating machine we are all so jealous of. Granted, many different variables come into play when considering weight loss, which will be discussed further in future blogs, but this information hopefully gives some insight into the idea of “responders” and “non responders” when adhering to a diet. Martin R. et al. 2015. “A Human Thrifty Phenotype Associated With Less Weight Loss During Caloric Restriction”, Diabetes, vol. 64, no. 8, pp. 2859-2867.